Libreria Acqua Alta is the “most beautiful bookstore in the world”. In this small bookstore, books are stored on boats prepared for an eventual high water (i.e. “Acqua Alta”). Totally awesome, books are in different language and its stair totally made out of books leads to a cool terrace on a canal. This old palace, once related to german merchants (“tedeschi”), is now full of stores and nice cafès. This palace deserves a visit for its wonderful Terrace, directly on Canal Grande, where it is possible to enjoy a wonderful view for free. If it is cold, try the hot chocolate in cafè at ground level, so good! A “squero” is a place where boats are made. Apart from this, what is special about this squero is that is one of the oldest in Venice and where gondolas are made. In working days, it is interesting to see craftsmen working on gondolas and, just in front, there i salso a good “bacaro” there to offer you good venetians food. This renascimental jewel is among the places deserving a visit. Not that famous, is on the route to San Marco and it is a little archtitechtonic jewel made by a rich venetian family trying to increase is popularity. It has not a real function, but to amaze people. Dating back to the XIII century, this Monastry has a very old karma. 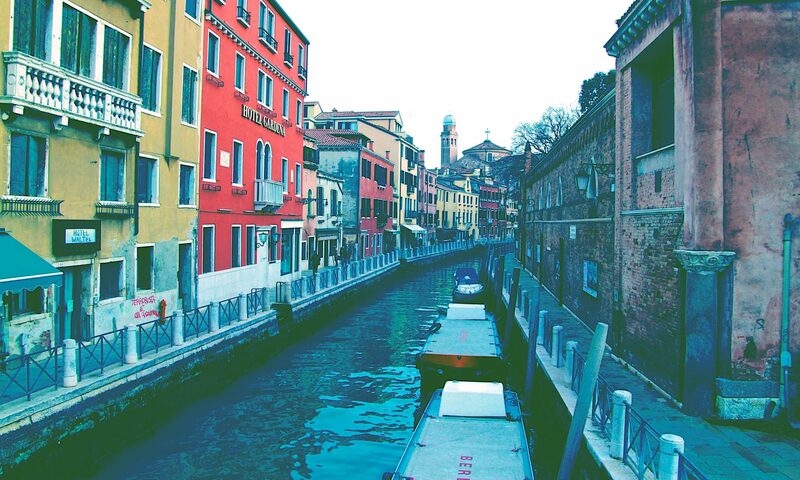 Placed in a very nice and quiet area of Venice, it hosts temporary exhibitions. It is good if you are looking for something original, linking the past and the future of Venice.